Wachapreague is a historic and charming place to live and visit. Surrounded by farmland, woods and water, a visit here is the perfect antidote to the harried life. With only 230 permanent residents, you will never feel crowded strolling the streets of our lovely victorian-era town. 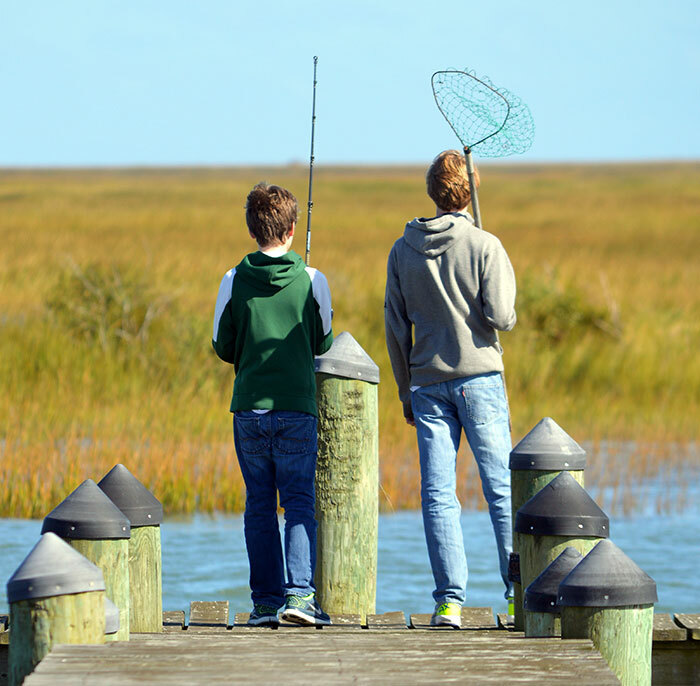 Long famous for its inshore and offshore sports fishing, the town today is a coastal community base for enjoying some of the last undeveloped and unspoiled wetlands and barrier islands in the mid-Atlantic States. The bird watching here is fantastic, especially during the spring and fall migration. Biking is a breeze due to the flat terrain. And if your own fishing skills are rusty, there are several restaurants in the area to sample our seafood. Whether you are new to town, a visitor or a long-time resident, we invite you to explore our website. If you are new to Wachapreague, we hope as you learn more about our town, you'll plan a trip to visit us soon!